Dr. David Gordon has been named the inaugural dean of the College of Health Professions at The University of Akron. Gordon earned a bachelor's in chemistry from Amherst College and an M.D. from Harvard Medical School. Most recently, Gordon was dean of the School of Health Professions and Studies at the University of Michigan-Flint. 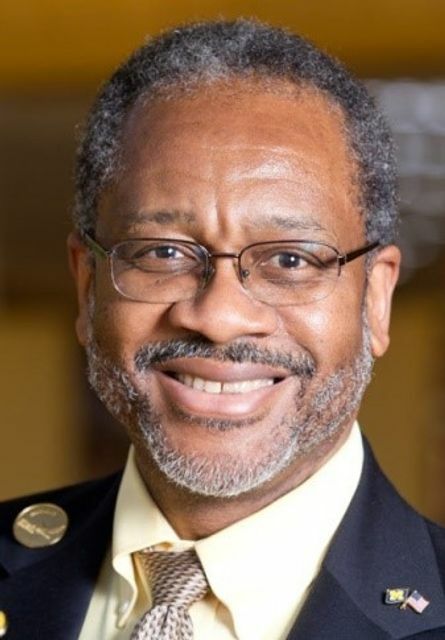 Gordon has been associated with the University of Michigan since 1991, having served most recently as associate dean for diversity and career development and professor of pathology at the university's medical school. As associate dean, Gordon's efforts to promote diversity within the school included a focus on faculty and medical student recruitment and development, and on creating a new Minority Health Research Program. He also worked with the pipeline programs to encourage high school and undergraduate minorities toward the various health professions. "Healthcare in the United States is in a crisis," Gordon said. "We are challenged with providing excellent but affordable healthcare to all of our citizens, while at the same time improving the health status of our population. Despite being the country that pays the most for health, we are not leaders in health status. "As health care, health improvement and disease prevention have become increasingly complex, requiring more knowledge and skill than any single individual or professional can provide, we must learn to work in efficient, interprofessional teams," Gordon added. "My vision for the College of Health Professions is that we become, hands down, the best educational institution that rigorously develops not only top health professionals, but professionals who know how to work in integrated teams which outperform other organizations in achieving the triple aims of health care: excellent care, best improved health status and the most affordable cost." The University of Akron offers more than 300 associate, bachelor’s, master’s, doctorate and law degree programs – with accreditations by 35 professional agencies. With approximately 29,000 students and $65 million in research expenditures, UA is among the nation's strongest public universities focused on innovation, entrepreneurship, and investment in community and economic growth. Programs are targeted to diverse groups of learners, including full-time, parttime and on-line students, veterans, and adults returning to the classroom. The distinctive Akron Experience enhances postgraduate success through internships and co-ops, academic research (both undergraduate and graduate), study abroad, on-campus student employment, and service projects.